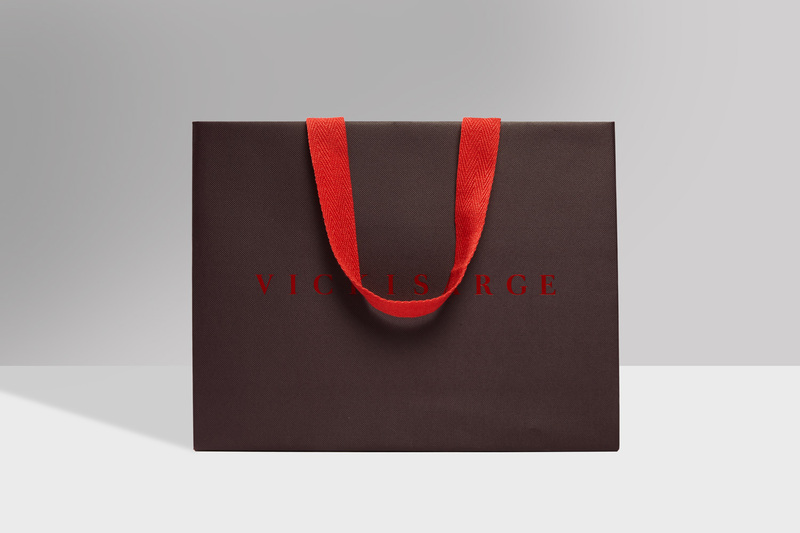 Commissioned by designers Assembly London, Progress manufactured these luxury boxes and bags for the VICKISARGE retail collection. Representing three decades of innovation in fashion jewellery, designer Vicki Sarge draws inspiration from her own life, including the energy of the late seventies and eights New York club scenes, fashion, architecture and film. 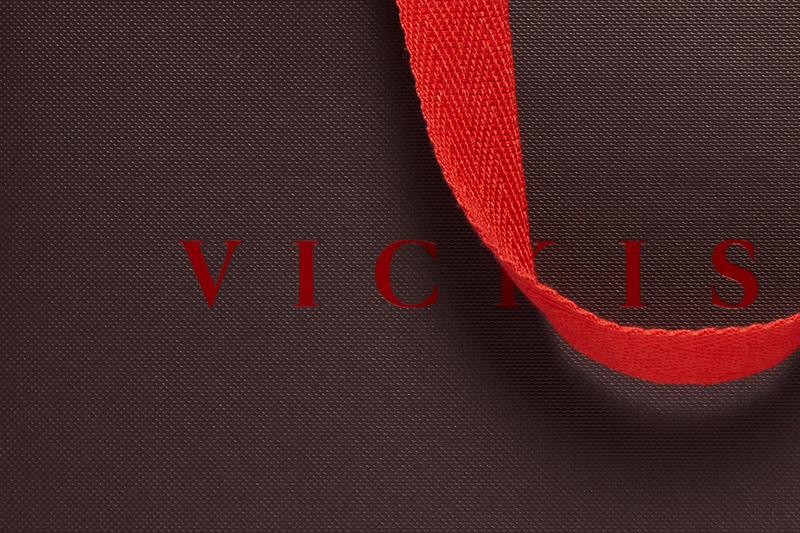 Manufactured from 230g custom dyed and embossed paper, we clear foiled the brand identity to the lids of the boxes and by contrast used red pigment foil for the bag outers. 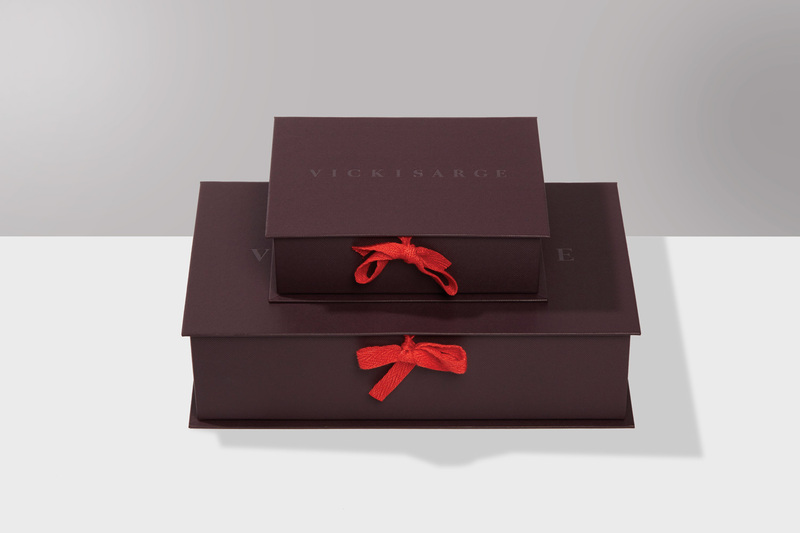 Custom dyed herringbone ribbon ties were used as closure details to finish off both formats, while inside the box a custom foam insert with a red brushed cotton topper holds the exclusive jewellery pieces securely in place.